This is one of those few bands that was a must-see for me. I had hoping to catch these Swiss metal merchants back in their heyday between 1985 - 1988. I even heard they were then supposed to be booked in one of the area dives. Never happened. Now, several (many, in fact) years later, I was lucky enough to catch this long-running death metal ensemble. 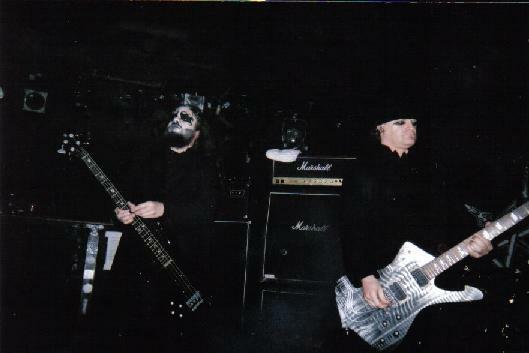 I also heard that guitarist Thomas ' Warrior' Gabriel had reunited with original Celtic Frost bassist Martin Eric Ain. A crowd of about 150 showed up for this blessed fall evening event. No matter. I, for one, had a great time. The crowd was very friendly. Fans talking and comparing notes on past metal shows had made this gig even more of a pleasure. Celtic Frost (have always liked that name) came on around 10:30 pm. 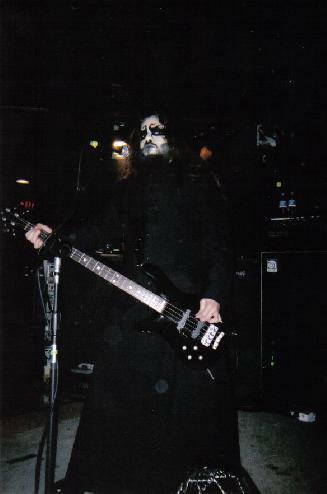 They started out with "Procreation (Of The Wicked)", "Visions Of Mortality" and "Circle Of Tyrants". I almost had to pinch myself to make sure I wasn't dreaming. They have a current CD, 'Monotheist', out and played three songs from it - "Ain Elahim", "Ground" and the fourteen minute awesome heavy encore "Synagoga Satanae". Other notable tunes we fortunate attendees got to experience were "Jewel Throne", "Necromantical Scream", "Return Of The Eve", the classic "Dethroned Emperor" and "Into The Crypt Of Rays". I noticed the decent-sized mosh pit that was going on throughout the band's eighty minute set. I took a look at their discography and it appears they chose to perform cuts off four of their six albums, which were 1984's 'Morbid Tales' (did half of this one), 1985's ' To Mega Therion', 1987's 'Into The Pandemonium' and their current effort, 2006's the previously mentioned 'Monotheist'. Good choice, I must say. Touring line-up: Tom ' Warrior' Gabriel - guitar and vocals, Martin Eric Ain - bass and vocals, Erol Unala - guitar and Franco Sesa - drums. I'd love to catch these guys again, but I seriously doubt they'll ever be back. Or at least not anytime soon. It was well worth waiting for after twenty years to finally catch them live.